What a source of joy and blessing when teen age grandchildren recognize the gift of love and prayer that a grandfather has sown into their lives. Let It strengthens the family when a father, grandfather and men pray in the home. Oh, the great influence of a praying Grandfather. Fervent prayers for children and grandchildren regarding their destiny and for their protection will bring forth much fruit. 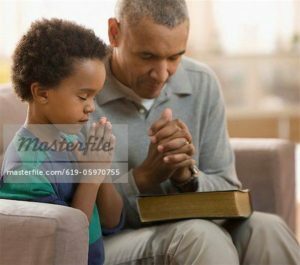 Accordingly, teach your children or grandchildren to pray a prayer when they wake up in the morning, to pray in the car on the way to school and to allow them to pray over family situations and decisions , that are age appropriate for , such as where do we go on vacation etc. We see the benefits of prayer in a letter Deacon McGinnis received from his granddaughter Shanelle. His granddaughter was given a school assignment to write a letter to a wise person in her life. She thought instantly of her grandfather. Shanell states that “When ever I ever have any questions about a scripture or if I need help finding something in the Bibe, I can always count on you to help me”. You always tell me of how proud you are of me for praying , and singing at church. But did you ever think of my close relationship with God may be because of your prayers? Yes, I always feel God’s presence when I hear you pray. I like how you try to teach people more about God when you welcome the visitors at your church too. This makes me want to do more for God. The Bible says in Proverbs 22:17, “Pay attention and listen to the saying of the wise: apply your heart to what we teach.” Also in Proverb 3:6 says, “In all your ways acknowledge Him and He will make your paths straight”. So I thank God for the things He has shown me through you. I also thank God for the work He has done through me. I pray that God will continue to use us because like Proverbs 16:3 says, “Commit to the Lord whatever you do and your plans will succeed”. 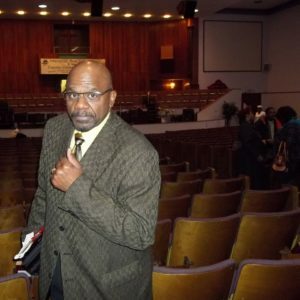 So I just want to say thank you Granddaddy for your commitment to prayer. I also want to thank you for showing me different ways to show my love to God too. I love you. I am writing this letter because I want to thank you for being a really wise and strong man in my life. You are like the rock of our family and whenever you bring us together you always make sure we take time to pray and honor God. … You have trained me to always pray. I watch how you pray before we eat and before we get on the road and anytime something good or bad happens you always pray. So I know how important it is to pray. I also see that you pray to Him a lot because you trust Him and even though things may not always go my way I am learning to trust God. … Granddaddy I am so proud to carry your name and I know that if I continue to pray and trust God that I will one day become a strong and wise man like you. What a legacy Grandfather McGinnis is creating for his grandchildren! It is important to teach our grandchildren and children how to communicate and grow in relationship with God as they seek Him and His will.